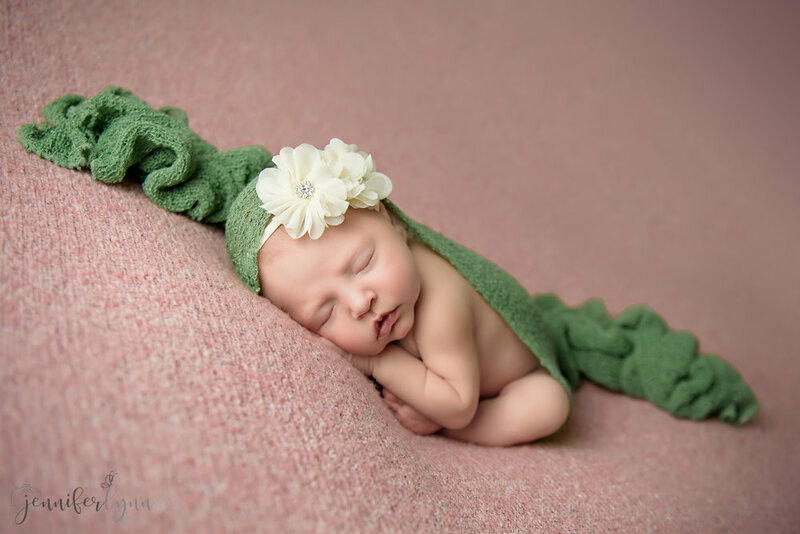 Sweet little Madison came to the studio over the weekend for her special newborn session. She was a perfect little sleeper and just loved being on her tummy. That also meant she was content in my silver bucket and she let me play around with colors and hats, adding flowers and getting her fingers just perfect for peeking out from under her chin. I also absolutely loved the colors mom requested: pink and traditional green with grey accents. 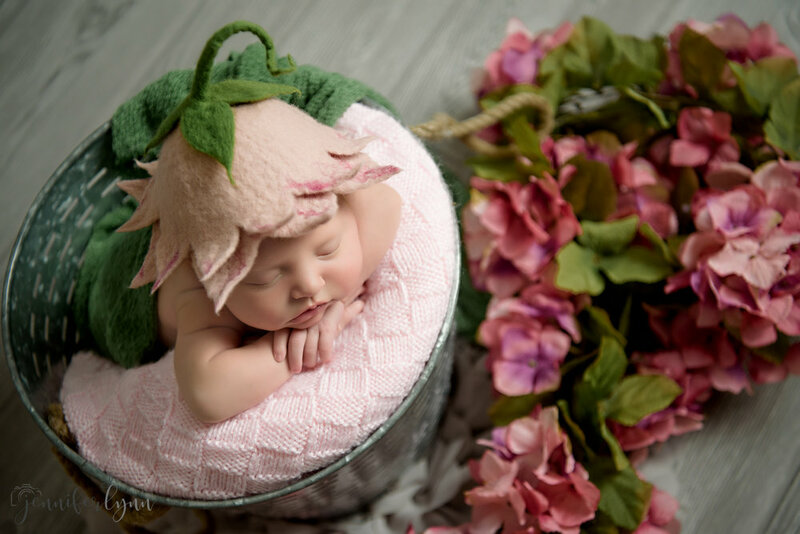 Everything came together so beautifully with the colors against Madison’s skin tones, and she looks like a little flower baby with her rosy cheeks and pink lips. 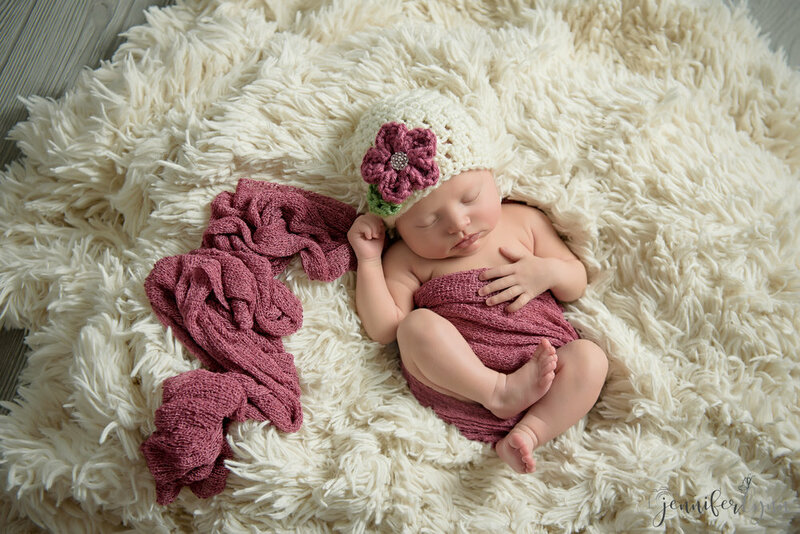 I will certainly remember to bring out these colors more often for future newborn girls! Madison’s big brother was also an amazing sport during the first part of our session. We quickly did sibling and family photos right at the beginning before he lost interest in the studio and the big lights. 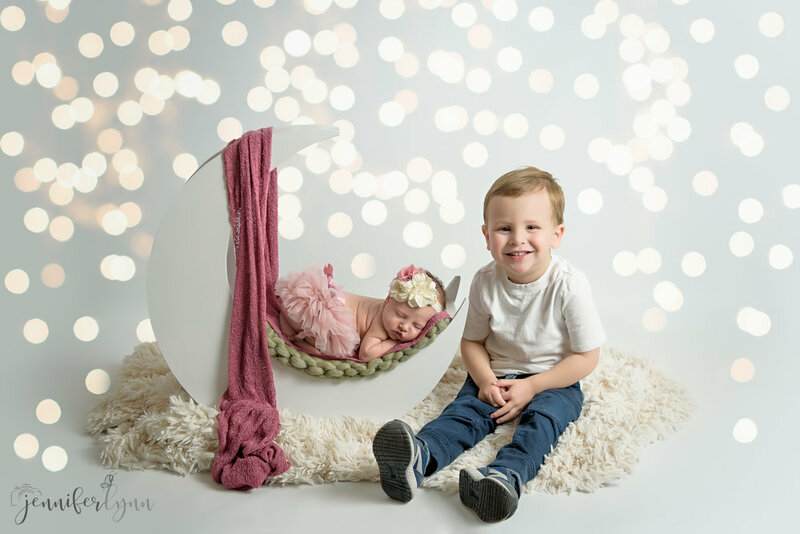 He gave some of the best smiles and even let me position him behind the moon prop for a precious peek through image of him looking through the prop toward his sister’s face. I also chucked at several of the blooper images of him hamming it up. He seems like he already loves big a big helper! 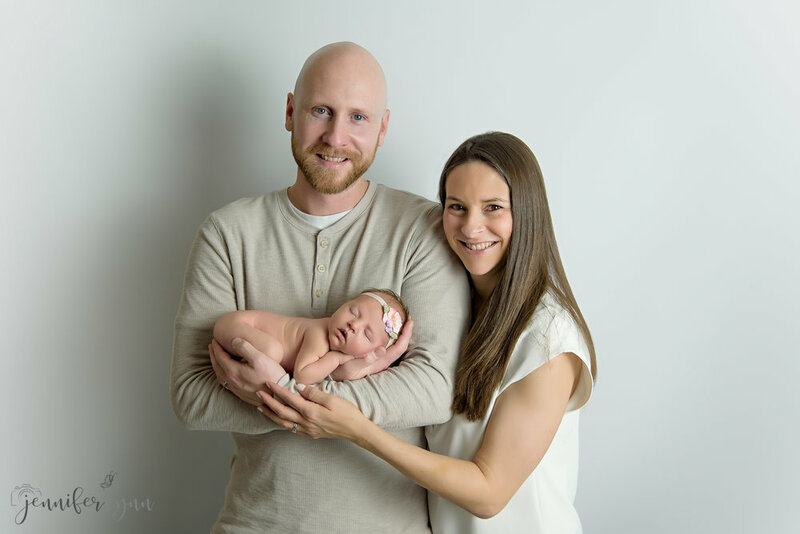 A big congrats to this family on your newest little one! Enjoy all those newborn snuggles (despite the lack of sleep!) and I hope to see you all again as Madison grows during this next year!